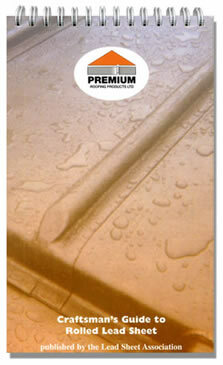 Welcome to Premium Roofing Products Ltd.
What does Premium Roofing Products Limited do? We provide manufacturers to the metal roofing industry with quality ancillary products. Because you have the confidence of using products that are recommended for their quality by a number of leading associations such as the Lead Sheet Association, the Lead Contractors Association and The Metal Roofing Contractors Association. Click here to order your free copy! A FREE Metwash wall mounted dispenser and 2 boxes of Metwash absolutely FREE. Click 'News' for more information. <?xml:namespace prefix = o ns = "urn:schemas-microsoft-com:office:office" /> Premium launches ZinFlash soft zinc. Click 'News' for more information.